Sardines’ high season has come ! 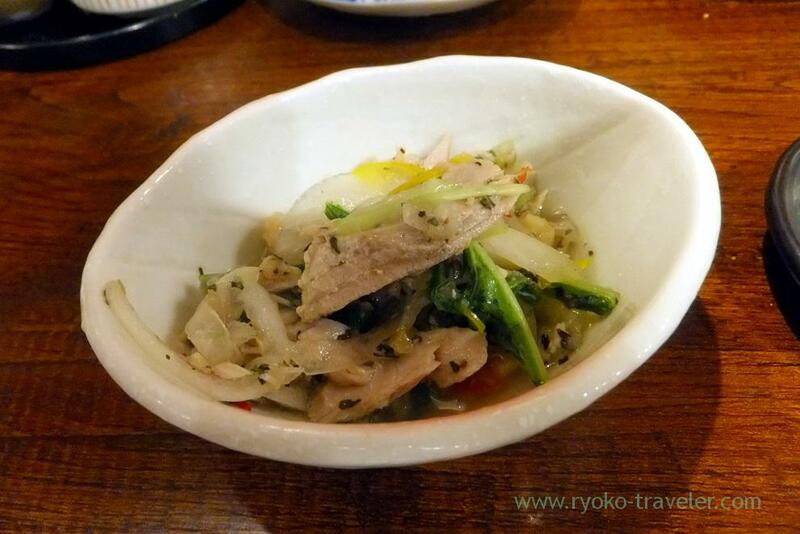 The best season of sardines has set in, so, we went to Funakko that is a sardines specialty izakaya in Higashi-Funabshi area. 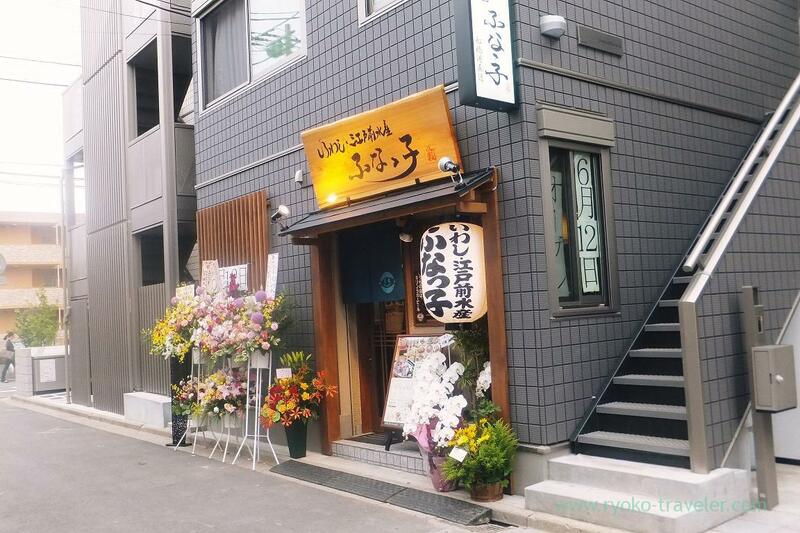 Though Funakko is very popular, Higashi-Funabashi has nothing except Funakko. 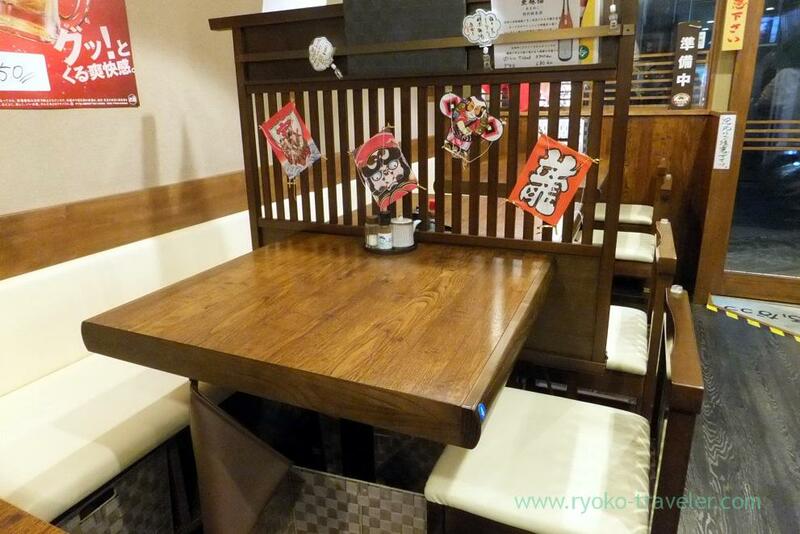 So there are vacant seats and if you come to there by one or two persons, you might be seated without reservation. By the way I forgot these foods’ price. 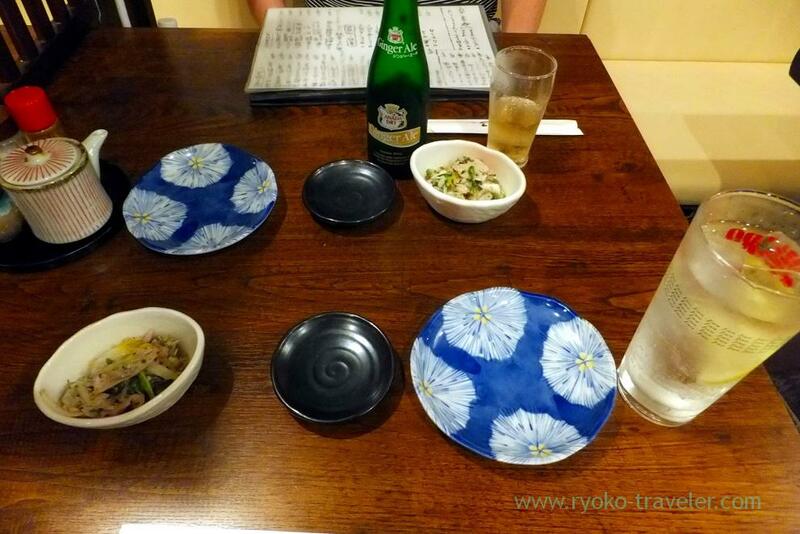 At first, we ordered our drinks. Mine was lemon sour. 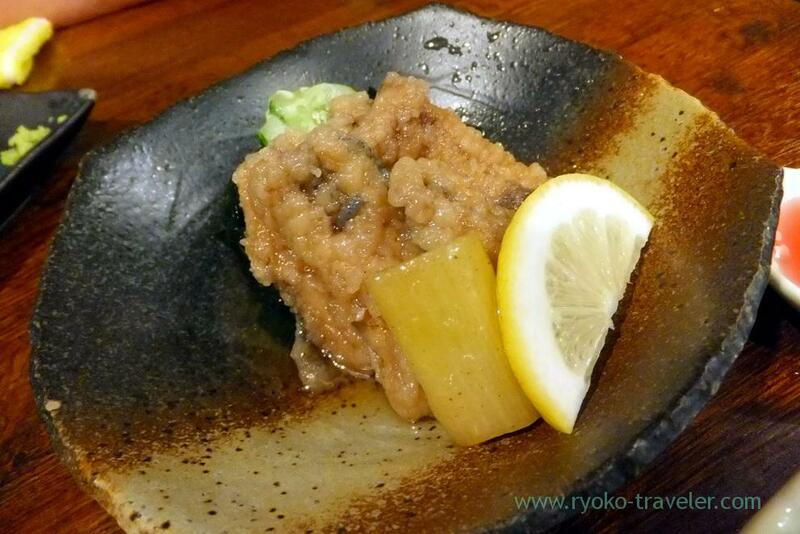 Otoshi was served with our drinks. Marinated sardines and vegetables. It had refreshing tastes. 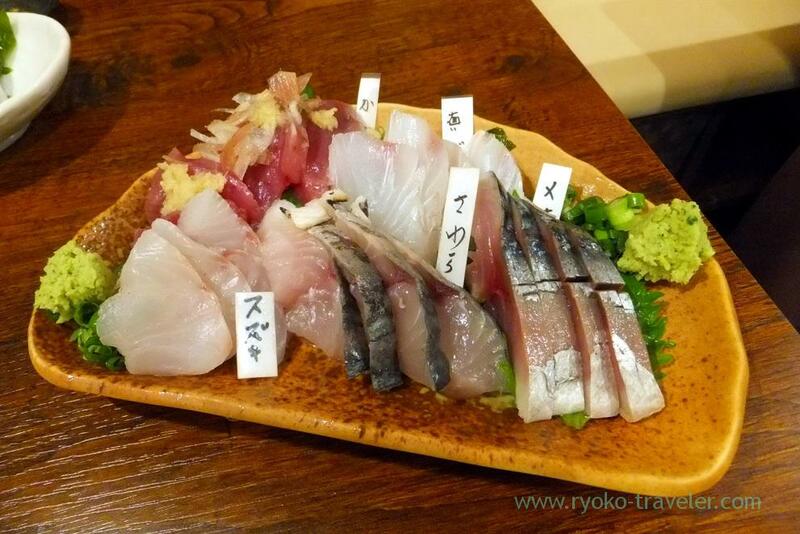 Spanish mackerel, vinegared mackerel, red sea bream, bonito and sea bass. Not only sardines but also another seafood is good. No seafood make me disappointed every time. Squid. It had sticky tastes. Squid is best all the same ! 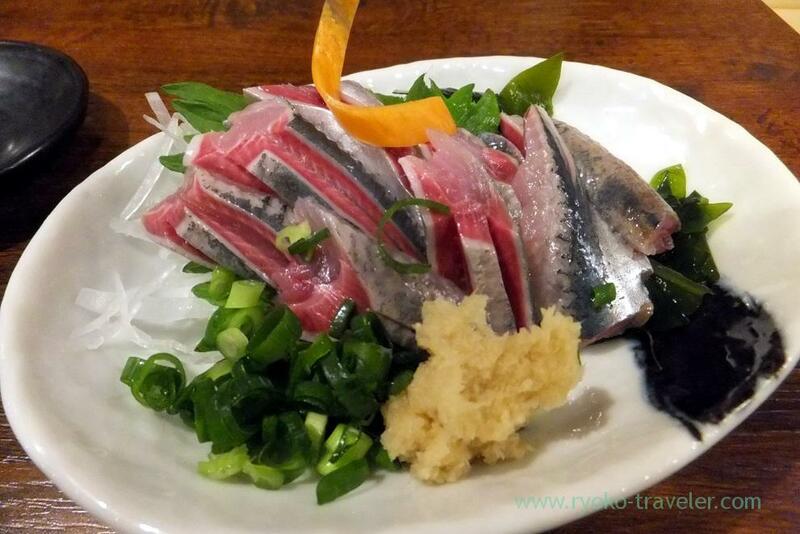 Sardines sashimi. It wasn’t so fatty, but enough good. 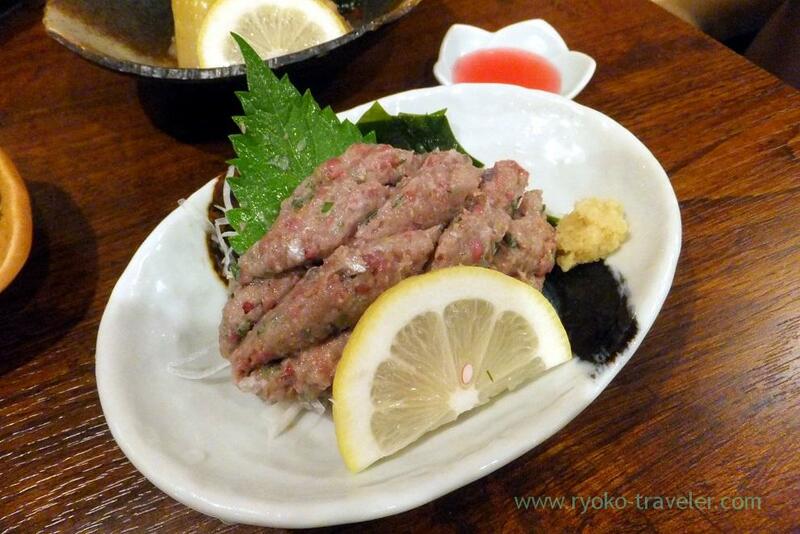 Nanban-duke is marinated deep fried foods in vinegar, green onion and pepper. 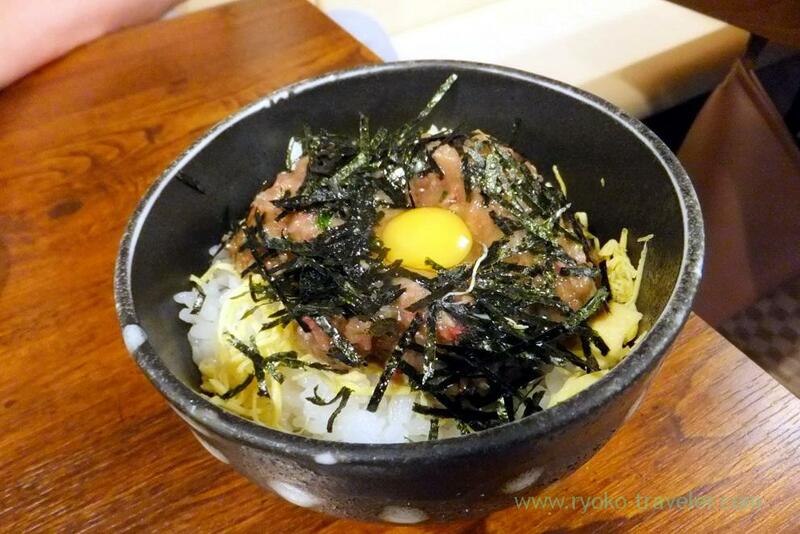 Namero is mixed minced sardines, green onions and miso. 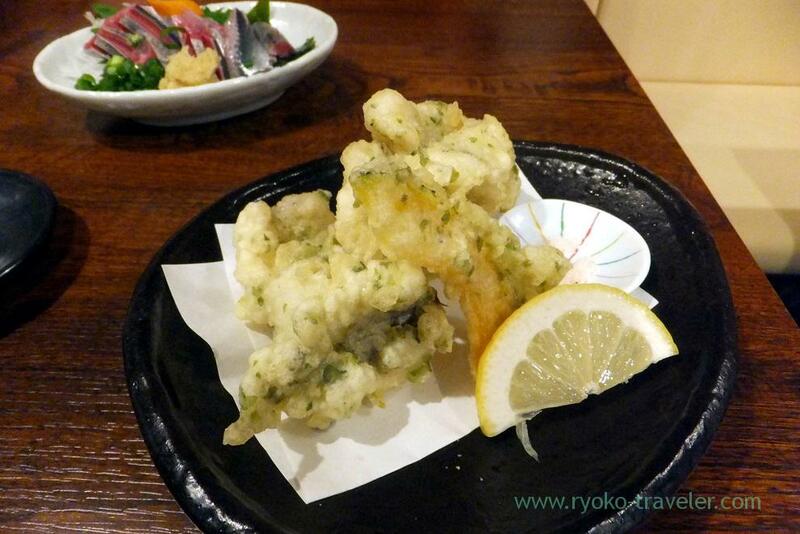 We visited there for eating sardines, but somehow I liked this sea eel tempura best. 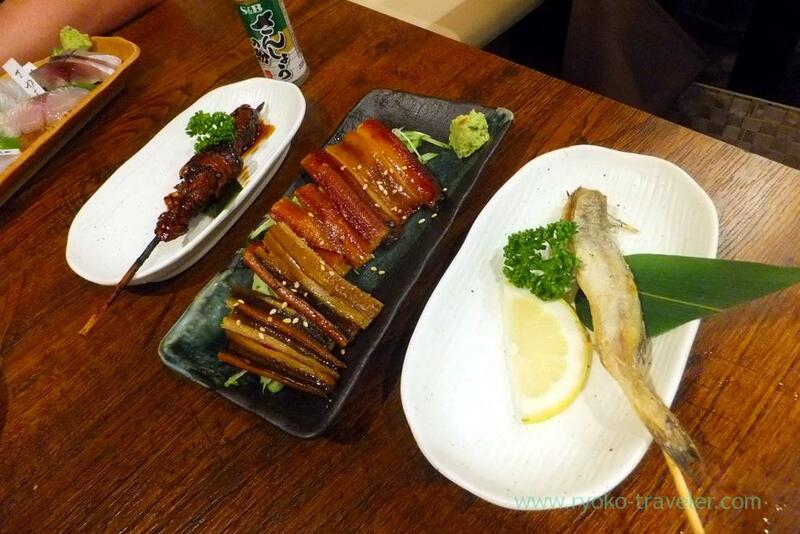 Grilled conger eel, grilled eels innards and small fish tempura. This was the first time to eat it. We were so impressed by the tastes. I want to eat it every time ! Sardines dressed with sesami oil was so tasty. 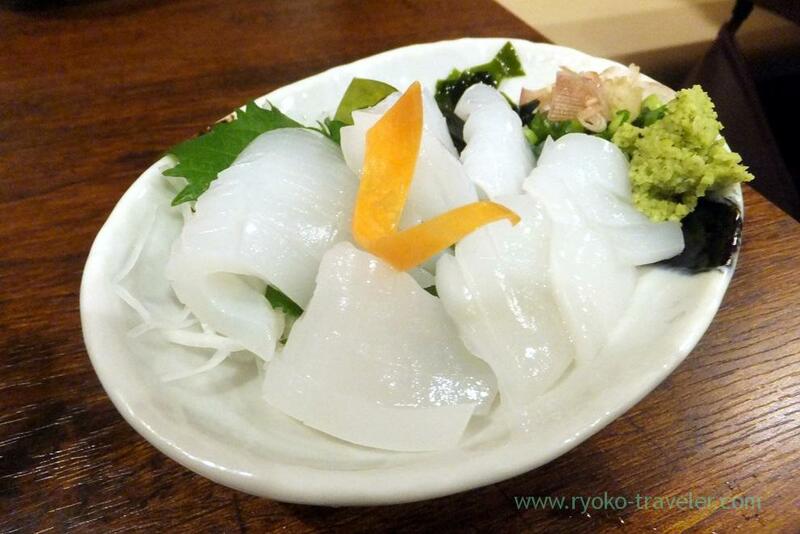 Funakko is our delight place and we can’t help but visiting there while the best season of sardnes.